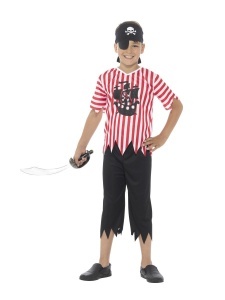 Includes: Red & White, with Top, Trousers, Bandana & Eyepatch. 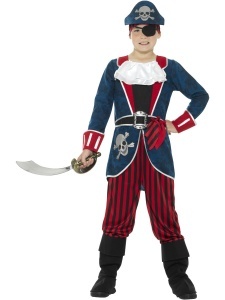 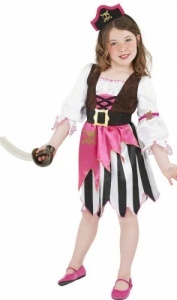 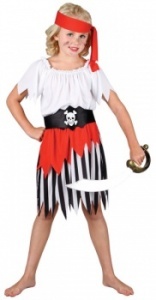 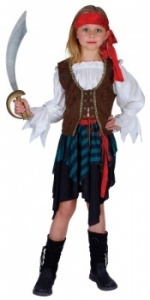 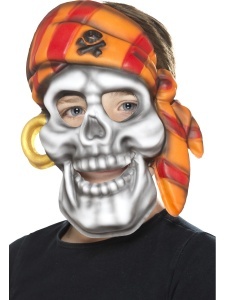 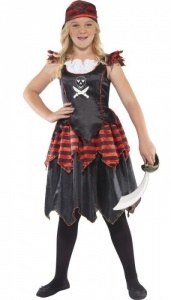 Includes: Childs Deluxe Pirate Costume, Trousers, Top/Jacket, Eyepatch, Bootcovers, Belt and Bandana. 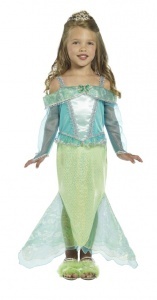 Includes: Shirt, Skirt, Headband and Belt. 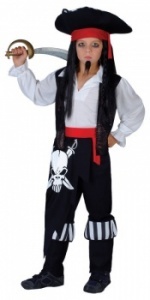 Includes: Shirt, Waistcoat, Trousers, Boot Tops, Belt and Deluxe Hat.